How to Determine the Value of your Trade Show Participation? In God we trust, everybody else must bring data to the table. This straight jacket approach to determine the value of participating in a trade show quantitatively resonates with most marketing executives at the corporate level. Such a data-centric approach to meticulously identify the key trade show metrics, gather data and then crunch numbers to arrive at a decision has the benefits of precision, brevity and unambiguity. Yet, numbers can sometimes be deceptive. While the measurement of trade show value in monetized terms echoes with senior marketing managers, the qualitative aspects of value like psychological impressions, impacts on behavioural traits and subconscious triggers of transactional behaviour and the fulfilment of non-selling objectives, by and large give the naked eyes of even the most seasoned marketers a miss, because these are not reflected in the corporate balance sheet in the short run. 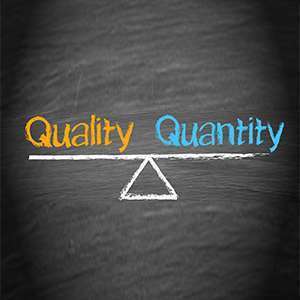 So, which of the two approaches: quantitative or qualitative is apt for determining the value of your trade show participation? Top managers will seldom agree to an elevator pitch for trade show participation without looking at the numbers. On the other hand, the trade show visitor’s perspective of value is premised on the paradigm of a trade show experience that mandates a holistic and qualitative approach. A combination of the quantitative and qualitative approaches is best suited for visualization of the complete scenario of value determination. The quantitative approach to measuring a value of a trade show is premised on two KRAs: total estimated value and total event costs. The ratio of total estimated value to total event costs, known as the payback ratio of a trade show defines the monetized value earned from a trade show for every dollar spent on the event. The strength of the payback ratio calculation is that it reflects the shadow cost of every unit of dollar spent on the trade show and paves the path for outcome based trade show budgeting across the marketing calendar. The starting point of the calculation is the revenue. A standard myopia prevalent among sales executives is to focus excessively on the costs incurred on particulars like trade show booth design services, trade show booth rentals and trade show booth displays. In reality a reusable trade show booth rental venue can be reused across events to scale up the total number of meetings in an assembly line, to save costs of air travel, local transport, hotel accommodation, food and beverage costs incurred on conducting meetings discretely. The third step is to assess the total gross impressions. The fourth step is to determine the total value of GIs. The fifth step is to assess the total targeted impressions. For the sixth step, a line of caution is to be embraced. TIs are already included in the calculation of the metric of GIs. Thus, in order to negate the risk of double counting, add only the additional value of TIs. The seventh step is the determination of promotional value of the event. Collecting business intelligence on competitor’s products, services, pricing offers and trade promotion tools to close sales deals. Maintaining relationships with existing customers to remedy service challenges and review business relationship dynamics with accounts. Explore the scope for add-on selling by introducing augmented products in addition to the core products being sold. Search for new customers by showcasing price differentials, competitive offers by adding free service deliverables and personalized or onsite maintenance services. The definition of value created from participating in a trade show is premised on two paradigms: stakeholder engagement and the diversity of perspectives of different stakeholder groups in participating in a trade show. Top corporate executives like to discuss numbers at the meeting table. Trade show visitors on the other hand see value in the intangibles like customer service, maintenance of business relationships by the exhibitors, remedy to existing business issues, add-on offerings, receiving brand messages from exhibitors on new products, services and pricing offers for them and exploring new industry dynamics and offers from substitute brands. Therefore, from the trade show marketers’ perspective, it is imperative to combine the quantitative and qualitative approaches. The quantitative approach convinces the senior management of the quantum of trade show participation outlays on particulars like procuring trade show booth rentals, deploying new and trending brand focused trade show booth designs and integrating trade show booth displays with immersive technologies. The qualitative approach to measuring a value of participating in a trade show justifies why investments need to be undertaken periodically to reinvent brand messaging. The latter approach explains it to the senior managers that audiences see value in customer journey and customer experience, not just in the core products and services being sold to them.